With thousands of press releases published each week, it can be difficult to keep up with everything on PR Newswire for Journalists. Here are some of this week’s most newsworthy releases you might have missed. Members of the media can register for PR Newswire for Journalists at prnmedia.prnewswire.com. Customize your profile to get the news releases you want before they make headlines. It’s free and takes only a few moments to sign up. On June 21, Expedia.com released the results of the 2016 Expedia Flip Flop Report, an annual study of beachgoer behavior across North America, South America, Europe, Asia, and Australia/New Zealand. In particular, the study looks at which country’s residents are likeliest to disrobe fully, what beach behaviors are considered least appropriate, where the most attractive beachgoers can be found, and much more. See the full release to learn more about the report. Don’t miss other news about travel and lifestyle like this. Sign up for PR Newswire for Journalists and create a free profile to have press releases emailed to you on the topics you cover. Get started now. Over the past 20 years, employers have increased and decreased benefits strategically in response to the needs of the workplace and employees as well as to economic and technological changes, according to the Society for Human Resource Management’s 2016 Employee Benefits Survey report, released June 20. See the full release to learn more about benefits in 2016. Interested in receiving more press releases like this? Sign up for PR Newswire for Journalists and create a free profile to have news emailed to you about health and workplace issues. Get started now. 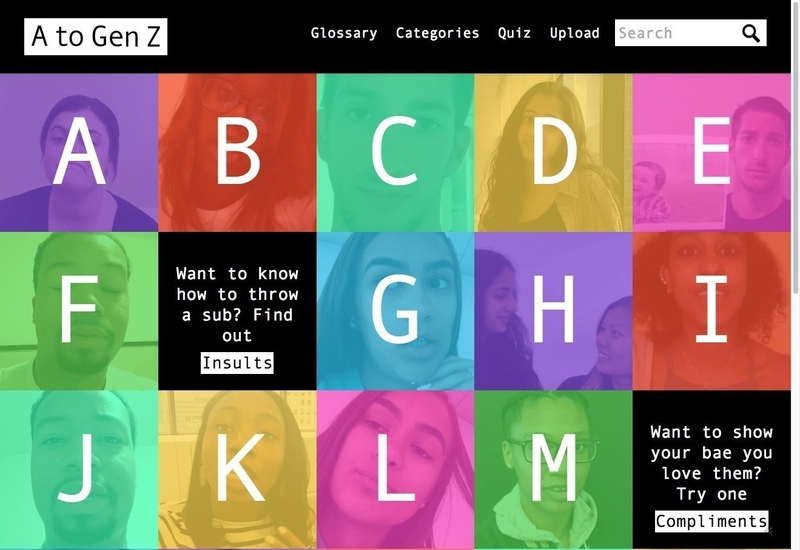 How Fluent Are You in Gen Z Speak? Not to throw subs or anything, but some people are so basic. It makes me salty. If you want to glow up then being fluent in Gen Z is major key. Preach. Learn how to fire shots or tell your bae they betta werk. Or maybe you wanna come thru to get hype. Whatever you do, don’t act thirsty now. Reading the above, you’re most likely to fall into one of two camps: either this is your native language (ok, maybe it’s trying a little too hard, I’m exaggerating for effect) or this is complete and utter nonsense (I’m guessing you’re most likely over 25). For those who are falling into the latter camp, the new website AtoGenZ.com may be your lifesaver (clutch, if you will). See the full release to learn about how to translate Gen Z speak. Interested in receiving more news like this? Sign up for PR Newswire for Journalists and create a free profile to get press releases sent to you on the topics you cover. Get started now. New-vehicle quality improves 6%, double the 3% rate of improvement in 2015 and the largest increase since 2009, according to the J.D. Power 2016 U.S. Initial Quality Study (IQS), released June 22. The study, now in its 30th year, examines problems experienced by vehicle owners during the first 90 days of ownership. Initial quality is determined by the number of problems experienced per 100 vehicles (PP100), with a lower score reflecting higher quality. See the full release to see more about how owners feel about their cars. Interested in receiving more press releases like this? Sign up for PR Newswire for Journalists and create a free profile to have news emailed to you about the automotive industry and other topics you cover. Get started now. On June 17, Cision finalized the acquisition of PR Newswire. The deal is approved in all markets worldwide except Dubai and China, where it is pending regulatory review. By combining capabilities, Cision and PR Newswire will provide clients with the industry’s best content distribution, influencer outreach, media monitoring and analytics offerings. This also expands Cision’s international reach, providing access to 170 countries and 40 languages. See the full release to learn about the transaction. Interested in receiving more business news like this? Sign up for PR Newswire for Journalists and create a free profile to get press releases sent to you on the topics you cover. Get started now. ← Media Insider: Al Jazeera’s Lessons From Snapchat, Bing Launches PubHub, and No Text for Future Facebook?